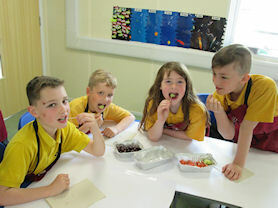 Pupils in Year 4 got to experience making and tasting a range of Greek foods, linked into their topic work this term. 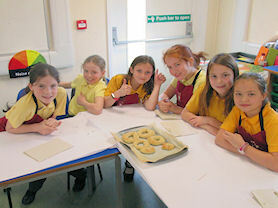 The children tried a variety of foods, including bread they had baked themselves. 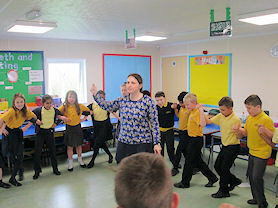 The morning was rounded off with some lively Greek dancing. A big thank you to Mrs Karafillides for preparing the food and working with the children to make it, and for sharing her knowledge and expertise on Greece. Everyone thoroughly enjoyed it, including the staff who also got to sample some of the delightful food!